Thailand property is extremely popular and foreign buyers make up a rather substantial portion of property buyers especially in Bangkok. However, buying property in Thailand can be rather tricky and confusing if you are unfamiliar with the procedures. In Thailand, foreigners are generally not allowed to purchase land. There are special concessions given to foreigners that satisfy some criteria with the Board Of Investment and invest THB 40 million. Please note that these foreigners will still be subject to an approval by the Ministry of Interior and approval rates are extremely low. Even when approved, there are restrictions which are imposed and the land purchased cannot be passed on as an inheritance. Property title deeds are a good indication of the ownership of the land and to what extent the land or property that you are purchasing is secure. There is a Garuda at the top of every property title deed in Thailand. 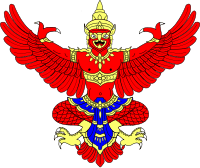 The Garuda is the national emblem of Thailand and is called the Phra Khrut Pha. It is a mythological beast of Hindu and Buddhist tradition and was adopted by the king, Rama VI in 1911. 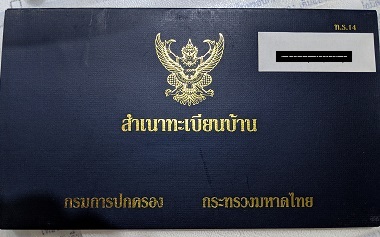 Till today, the Garuda emblem is used by the King of Thailand and the Thai government to authenticate official documents. The colour of the Garuda will depict the type of property title deed in question. Now let us understand the various property title deeds in Thailand. Chanote Title (Nor Sor 4). Freehold Title Deed. This is the most secure of all title deeds. It represents full ownership right to the piece of land. There will be a red Garuda on the top of the Chanote title deed. 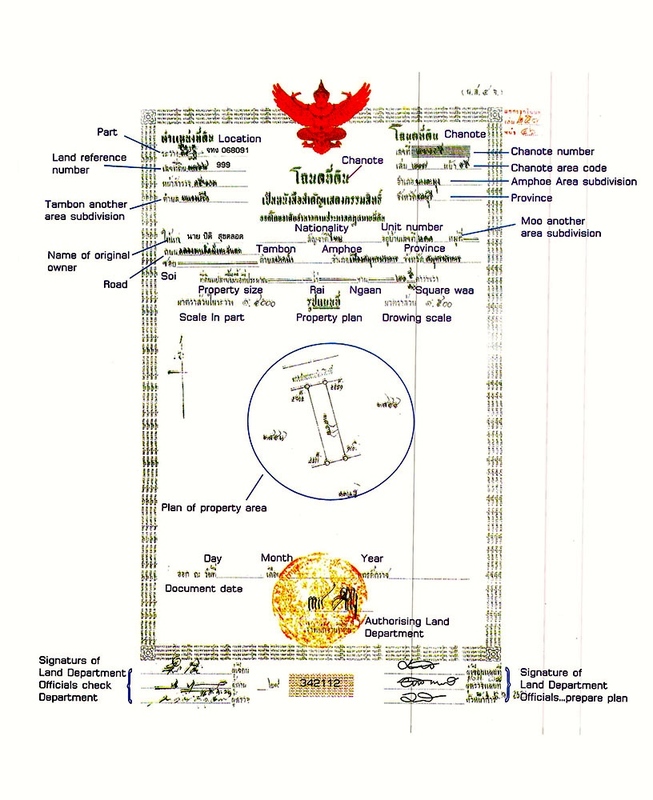 A Chanote title deed indicates that the land has been fully surveyed using GPS coordinates and correlated to the Thai national survey grid and submitted to the Thai Land Department. The Chanote Title Deed will list the position of the land, the total area, the land title number, survey information and a sketch to indicate the plot of land in relation to neighbouring plots. Legal acts like the sale or mortgage of the land need not be published and there are no general restrictions on the use of the land. The owner of the land is also free to subdivide the land. Under Thai law, a squatter can lay claim to ownership of a Chanote titled land if the owner of the land does not evict them within 10 years. Nor Sor 3 Gor. Confirmed Certificate Of Use. This to many Thais is close to a Chanote Title. This land has already been measured by the land department and its exact boundaries have been confirmed. There will be a black Garuda on the top of the Nor Sor 3 Gor title deed. In essence, a Nor Sor 3 Gor land title is just waiting for the landowner to apply to convert this title to a Chanote Title. 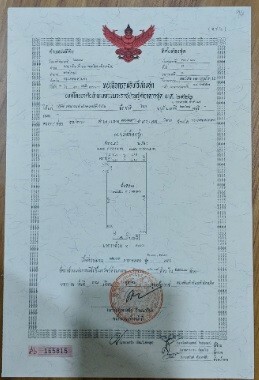 In order for the landowner to change the title to a Chanote, he has to file an application to the Thai Land Department. If there are no objections to the conversion, a Chanote Title will be issued on the land. Under Thai law, a squatter can lay claim to ownership of a Nor Sor 3 Gor land if the owner of the land does not evict them within 1 year. Nor Sor 3. Certificate Of Use. This is before a Nor Sor 3 Gor. This is a weak Thai land title and the owner is granted rights of possession which are yet to be confirmed. There will be a green Garuda on the top of the Nor Sor 3 title deed. Sale and mortgage of the land can still occur but such transactions have to be published for 30 days at the Thai Land Department without opposition before it can be registered. Nor Sor 3 plots of land have been surveyed against neighbouring plots but the surveys are not correlated to a master survey or a satellite photo. 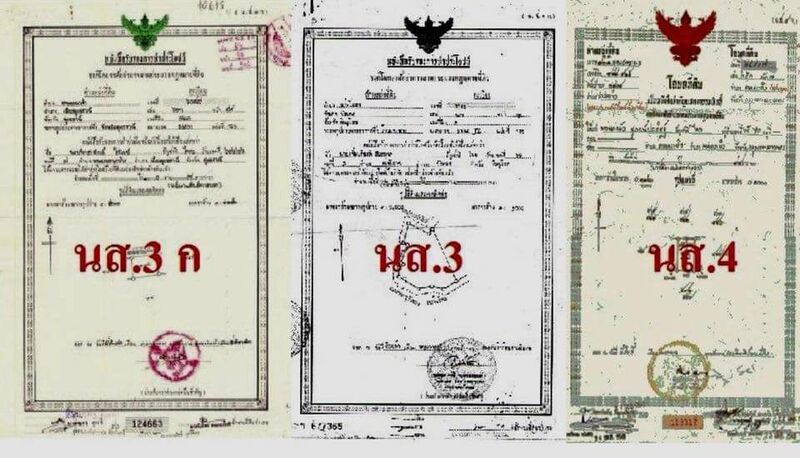 There are even lower land titles, Nor Sor 2 (Preemption Certificate) and Sor Kor 1 (Claim Certificate) which should never even be considered when purchasing land in Thailand. The stronger the title, the more valuable the plot of land and this may be indicated in the selling price of the land. Thus there are some savvy buyers who would go for the cheaper Nor Sor 3 or Nor Sor 3 Gor and put in the effort to convert the title to a Chanote. However, for most foreigners, we are interested in the Condominium Title Deed. Here is an actual condominium title deed. 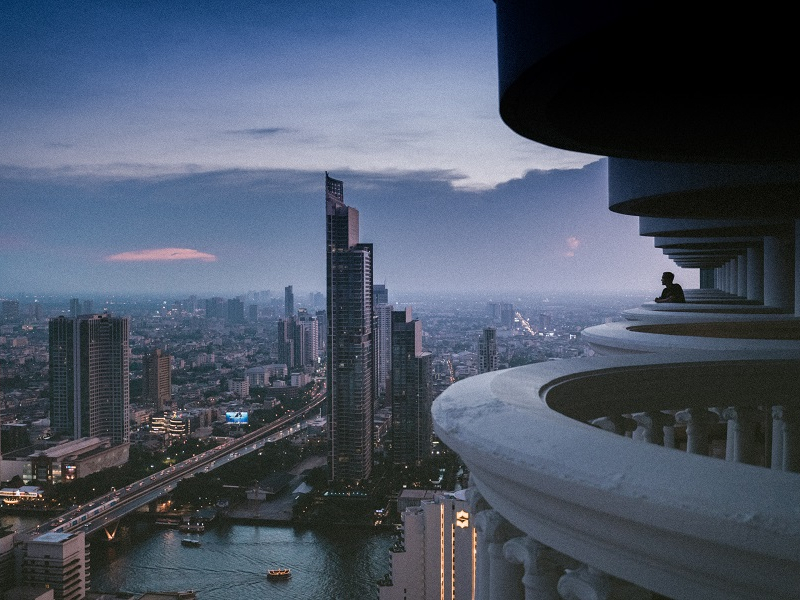 On top of the title deed, the condominium owner will be issued a house book or Tabien Baan. 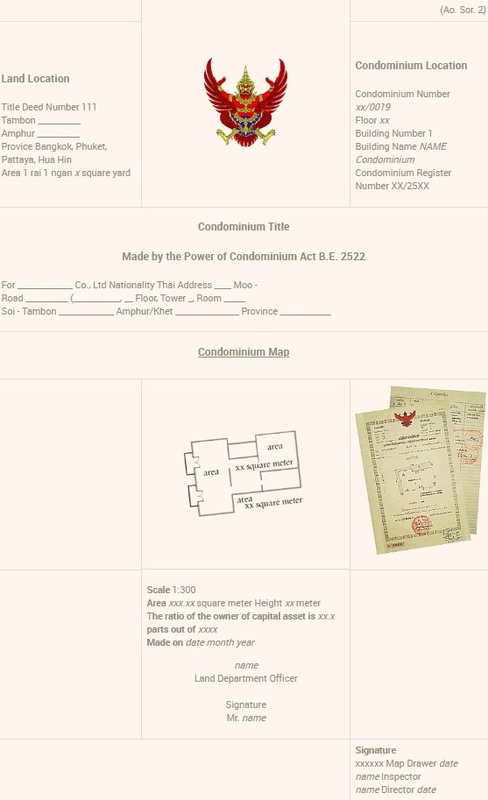 It is the registration book for condominium owners and is issued by the local municipality. The house book would usually have the names of the owners of the condominium on the first page. The house book is usually blue and in some cases, yellow in colour. This is not as important a document as the title deed in proving ownership of the unit. Please note that there are many types of ways to get into the Thai property market. I have met buyers who purchased private holiday apartments, tourist condominiums and leasehold apartments. These properties are not governed by the Condominium Act and are instead governed by the Civil Code and managed according to a legal agreement created between the legal owner of the property and the tenants or investors. As foreigners looking to purchase property in Thailand, I would only recommend purchasing a property with a Condominium Title Deed. There are instances whereby foreign buyers were lured into investing in properties which did not have the appropriate titles. Some of these deals may seem extremely cheap and attractive but please do your due diligence before purchasing a property in Thailand. When in doubt, seek legal advice or look for someone who is extremely familiar with property titles and the purchase process.